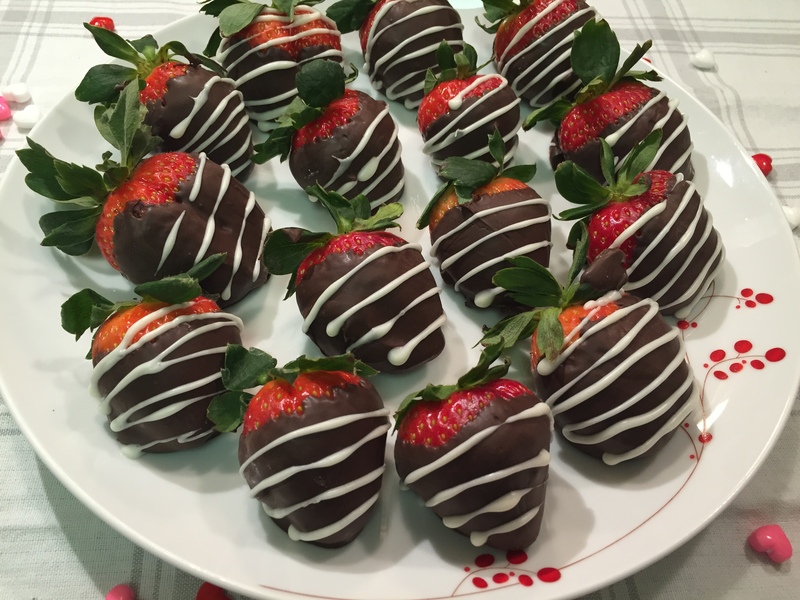 I have made chocolate dipped strawberries before but this time I decided to enhance them and add a little dressing. With my new decorating tool from Crate&Barrel, I was able to make white lines on the dark already dipped chocolate strawberries. For the dark chocolate I used the “Dolci Frutta” hard chocolate shell and for the white I used “Dolci Frutta” Greek Yogurt hard shells. 2-4 oz of Greek Yogurt hard shells. Wash and completely dry strawberries (keep the green leaves). Melt the chocolate in a glass dish in the microwave on high power for 60 seconds. Next, remove and stir and microwave for additional 10 seconds. Check if the chocolate is melted and don’t overheat. Allow the chocolate to cool slightly to thicken. 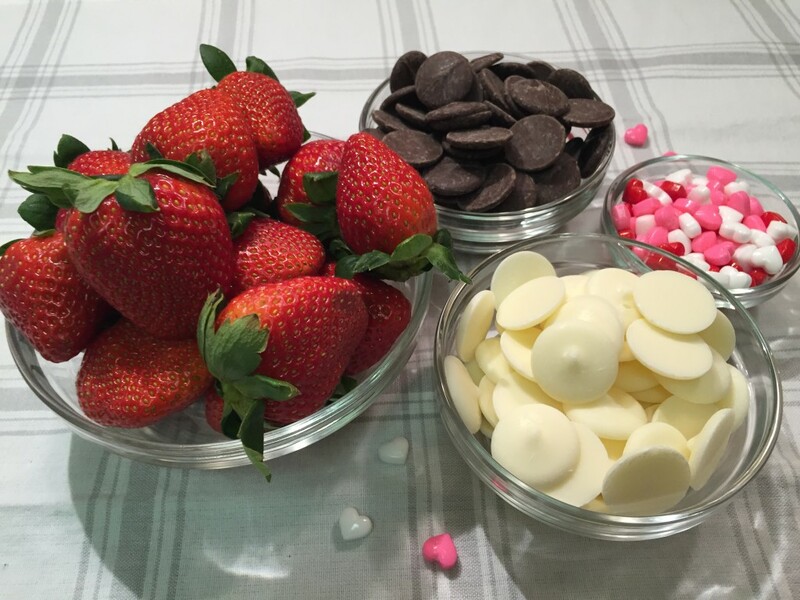 Holding the strawberry by the stem, dip the bottom half of each strawberry in the melted chocolate. Twist the strawberry so that the chocolate forms a “tail” at the end. 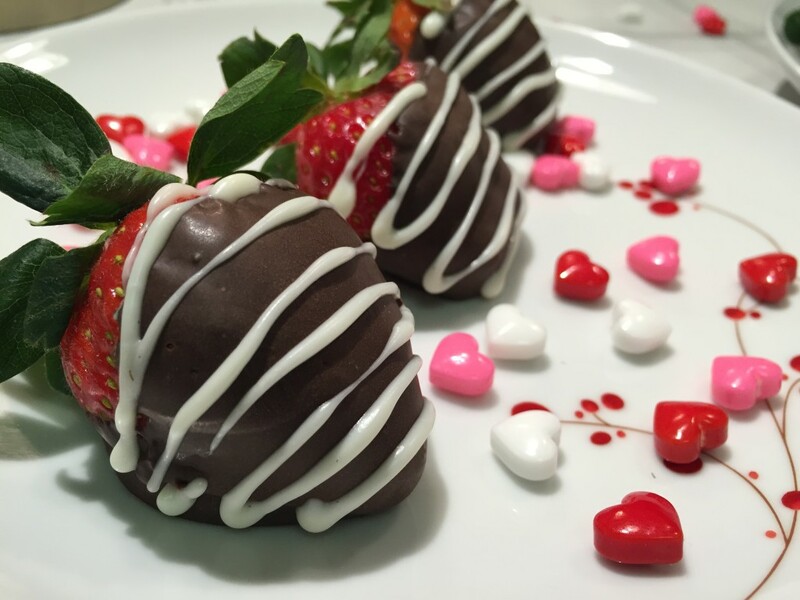 Set strawberries on the parchment paper. Repeat with the remaining strawberries. 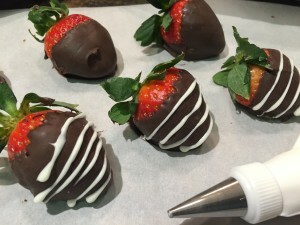 To add the white lines, you will need to repeat the same melting process with the white chocolate and you will need a tool to make these lines. Put them on a plate and decorate if desired.